For many, being a clinician is not a career —it is an identity and a lifelong commitment to ensuring the health and well-being of others. However, the responsibility, unrealistic expectations, and distress that characterize today’s medical practice, take their toll on clinicians, trainees, staff, patients and the spirit of each organization. Increased demands, administrative tasks, longer work days, loss of professional autonomy, short staffing, burdens imposed by technology, and reporting demands and regulations, among many other factors, all contribute to clinician burnout. In recent years, clinician burnout has appeared to have gotten worse, with one study citing a 9% increase in the prevalence of burnout among U.S. physicians between 2011 and 2014. Medical students and residents are also experiencing higher rates of burnout when compared to those of age-similar individuals pursuing other careers. Similarly, social workers, nurses, dentists, pharmacists, and other health care professionals are being tasked with providing high-quality care with less time than ever before. Clinician burnout represents a significant threat to a vibrant health system and can greatly affect staff turnover, health care costs, and patient safety and satisfaction. In addition to its effects on the overall health system, clinician burnout takes a huge personal toll on the hope-dispensing health of clinicians. In 2011, 74% of almost 5,000 nurse survey respondents indicated that their top health concern was the effects of stress and overwork. A few years later, more than half of respondents in a similar survey stated that they worry their job may be affecting their health. One analysis even showed higher rates of musculoskeletal disorders and injuries reported by nurses who also reported dissatisfaction with staffing, scheduling, interpersonal relations, and decision making. In the same analysis, more needlestick injuries occurred among nurses dissatisfied with work-related factors. While it is difficult to collect accurate data on the prevalence of depression among populations familiar with depression scales, research has found that nurses experience depressive symptoms at a rate more than double that of the general adult population. The same study found that certain factors, like job satisfaction, may actually lead to clinical depression in nurses. Home and family problems can exacerbate the stress all clinicians feel, adding to an already-mounting feeling of helplessness due, in part, to a loss of autonomy, high patient loads, nurse-to-nurse lateral violence, and grief from losing patients. Physicians may also experience depression due to job demands, available support, and regulations enacted upon them. In the 2018 Medscape National Physician Burnout and Depression report, over 15% of physicians who participated in the survey admitted to experiencing either clinically-diagnosed depression, or strong feelings of sadness. Medical trainees are also at higher risks of experiencing depression when compared to individuals of a similar age. Medical errors may have a significant mental impact on clinicians and trainees, with many commonly experiencing distress, guilt, shame, and depression in response to perceived medical errors. These feelings may be long-lasting, with some clinicians feeling “permanently wounded” as a result. Cross-sectional studies have found burnout to be independently associated with 25% increased odds of alcohol abuse/dependence in surgeons. Similar results are seen in medical students, with increased educational debt also predicting a higher risk for alcohol abuse/dependence. Motor vehicle accidents are common among medical residents, with some studies citing long hours and fatigue contributing to these incidents. Chronic sleep deprivation is also common, especially among trainees, and can increase the risk for medical errors. Every year, an estimated nearly 400 U.S. physician die by suicide, a rate more than twice that of the general population. Studies indicate that physicians are at an increased risk of suicide compared to the US general population. While more male physicians than female physicians die by suicide, the suicide rate for male physicians is 40% higher than that of other males in the general population and the suicide rate among female physicians is 130% higher than that of other females in the general population. Rates of suicide, as well as the prevalence of suicidal thoughts, may be underreported. In medical residents, suicide represents the second-leading cause of death and, in medical students, burnout may predict the development of suicidal thoughts over the ensuing year, independent of depression. In nurses, data on suicide is limited, but available data provides clues that suicide may be a risk for the nursing profession. Burnout can have detrimental effects on the overall health and safety of clinicians. Health care organizations must take responsibility for building environments that foster a culture of wellness so clinicians and trainees can thrive. 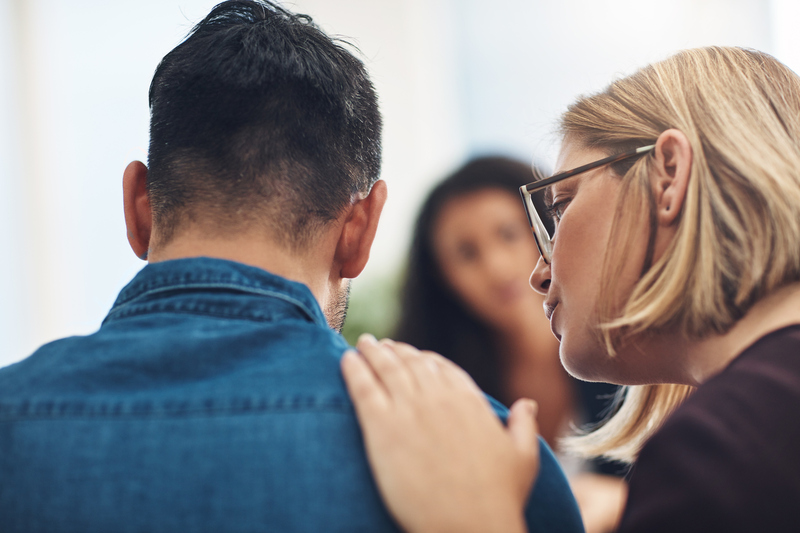 Both clinicians and trainees have recently and possibly more commonly, begun to share their experiences with depression, burnout, and suicide, but more work is needed to break the silence and stigma that surrounds clinicians on a daily basis. Seeking help can be overwhelming, in part due to fears about lack of confidentiality, shaming, self-stigma, anxiety over licensure, credentialing, hospital privileging, and the threat of additional professional repercussions if individuals disclose a mental health condition. Leadership must begin to design and support environments in which clinicians can find non shamed-based help and reenter safely back into practice. Organizations should use the information that is currently known about the factors that cause and ameliorate burnout to create workplace environments that promote physician well-being. More organizational strategies to combat burnout and promote well-being can be found here. Clinician burnout represents real suffering among people and their work-team dedicated to preventing and relieving the suffering of others. Clinicians who are burnt out are more likely to experience family devastation, depression, anxiety, and alcohol abuse/dependence, which can, in the worst cases, lead to suicide. The vitality of our health system depends on high-functioning clinicians that are equipped not only to practice clinical care, but also to implement improvements to the health system. Health care organizations must take responsibility for building efficient practice and learning environments that foster a culture of wellness so that all clinicians and trainees can thrive.